If we want to know what sorts of creatures will survive the next mass extinction, the best place to look is the fossil record. After examining the bones of Lystrosaurus, a vertebrate that famously thrived during the worst apocalypse in the history of life on Earth, a team of paleontologists think they know how it managed to adapt. 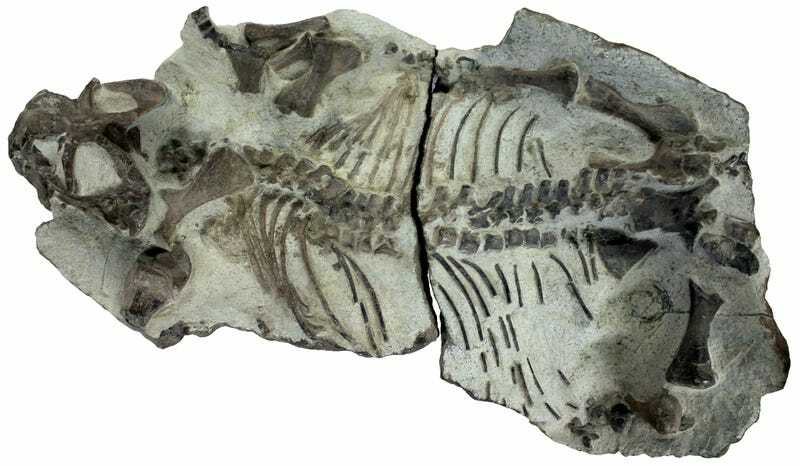 Lystrosaurus is a lineage of mammalian ancestors that flourished some 250 million years ago. If you know your Earth history, you’ll know that timeframe coincides with the end Permian extinction, wherein a series of volcanic eruptions sent billions of tons of carbon into Earth’s atmosphere, triggering runaway climate change and the largest extinction event of all time. Some 70 percent of all terrestrial species and 80 to 96 percent of all marine life perished as our planet transformed into a noxious hellscape. A study published today in Scientific Reports sheds light on how Lystrosaurus defied death, earning itself the nickname “disaster taxon.” Analyzing the bone microstructure and body size distribution of Lystrosaurus fossils both before and after the Permo-Triassic boundary, paleontologists at the Field Museum learned that these ancient animals survived radical climate change by radically altering their life history strategy. Their lifespans shortened, and they shrank hundreds of pounds, from the size of a pygmy hippo to that of a large dog. These changes seem to have paid off. Combining their fossil findings with ecological simulations, the study’s authors showed that by breeding younger, Lystrosaurus may have increased its chance of survival by up to 40 percent. As Earth’s land masses emptied of biodiversity, Lystrosaurus spread far and wide, becoming the most abundant vertebrate on the planet. This mammalian forerunner’s ancient evolutionary win is relevant in light of our current global predicament. Almost a year ago, scientists confirmed that we’re definitely in the early stages of a sixth mass extinction event—a very rapid die-off of species that could lead to ecological collapse. Hopefully, the transition from the Holocene to the Anthropocene won’t be as catastrophic as the end Permian, but one does have to wonder if the survivors will learn to live fast and die young.